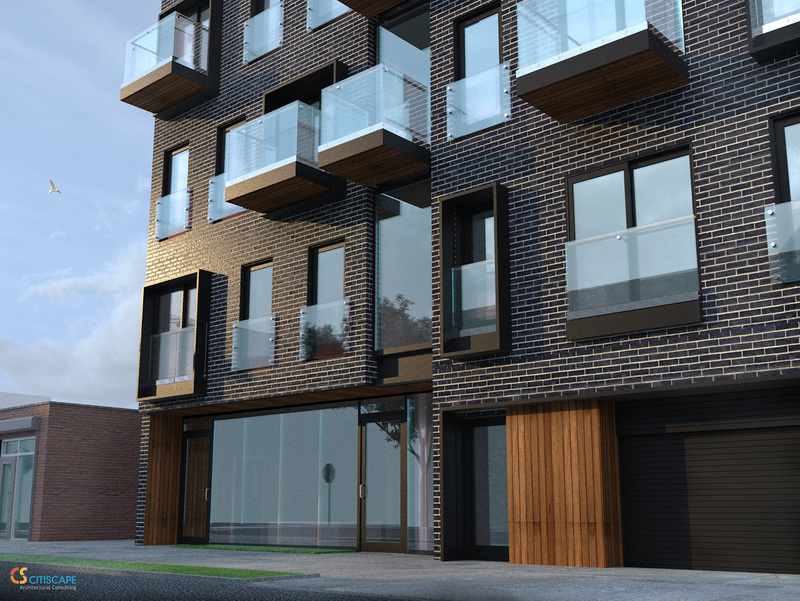 Today YIMBY has the reveal for renderings of 89 West End Avenue in Manhattan Beach, Brooklyn. The project is being designed by Citiscape Architectural Consulting. The eight-story, mixed-use building will comprise over 34,000 square feet, and top out at 70 feet above ground. As previously reported, residential area will account for nearly 20,000 square feet divided among 14 units. At about 1,400 square feet apiece, condominiums are most likely. 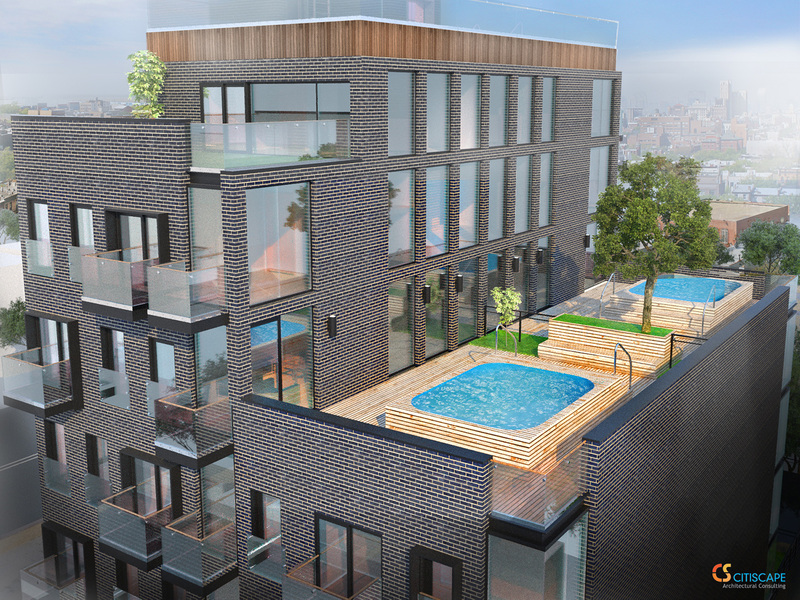 Future occupants will have access to an interior lounge, bike storage, private terraces in select units, and a communal roof deck with two pools. Original permits filed also indicate enclosed an parking area for 15 vehicles. 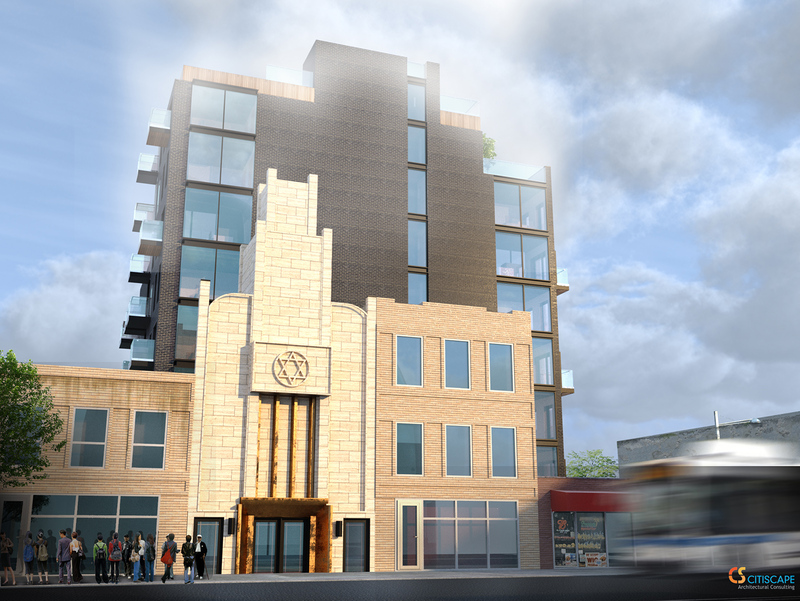 The new renderings also depict a synagogue occupying a portion of the building’s frontage with residential access around the corner. It is not clear which portions of the building will face West End Avenue, nor when the structure is expected to open. 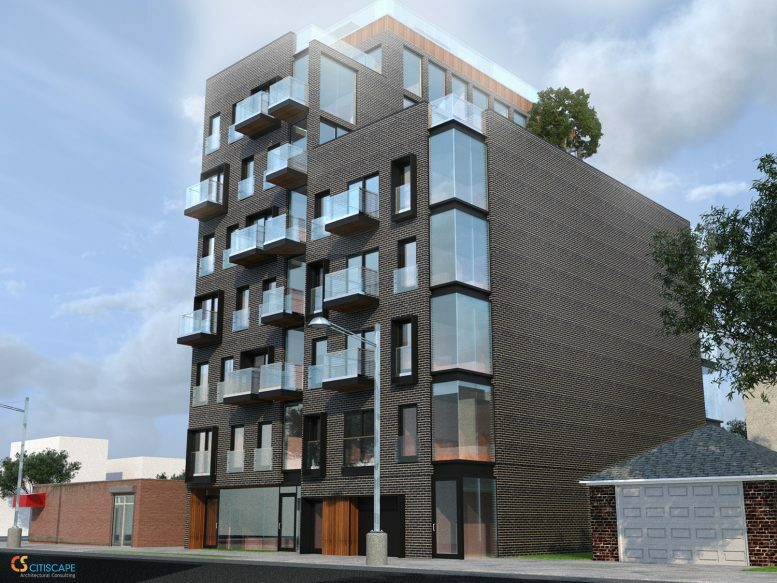 4 Comments on "Renderings Revealed for Synagogue-Condo Combo at 89 West End Avenue, Manhattan Beach, Brooklyn"
Please pardon me for using your space: I am a person who watches your report happened for developments. I was once one of those school kids in the rendering, I attended the institution across the street. believe me. no one cares.